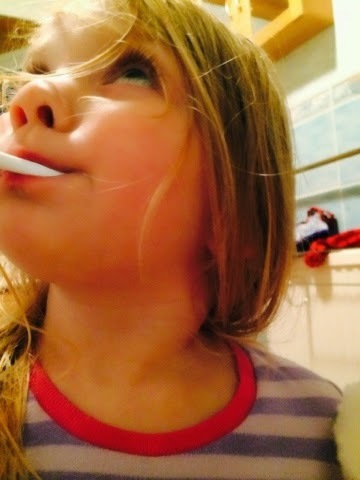 We had a normal Monday, after bedtime bath my youngest, Maegan (age 3) was very shivery and complained her neck was sore. Not long after, when she was sleeping, we noticed she had a temperature and was crying in pain everytime she rolled or moved, she was also delirious. 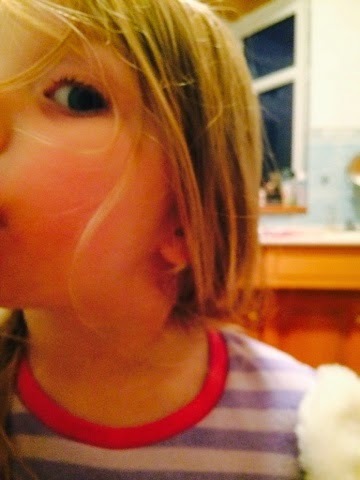 Calpol was given and reduced her temperature slightly and helped with the pain. The one thing that really stood out was that her feet were hot - usually with a temperature, I notice freezing cold feet. It was a tough night, not much sleep was had, Meg kept waking and crying in pain with every slight movement and pulling at her ears and neck, the calpol stopped lowering her temperature and I ended up giving neurofen too just to try and bring it under control. 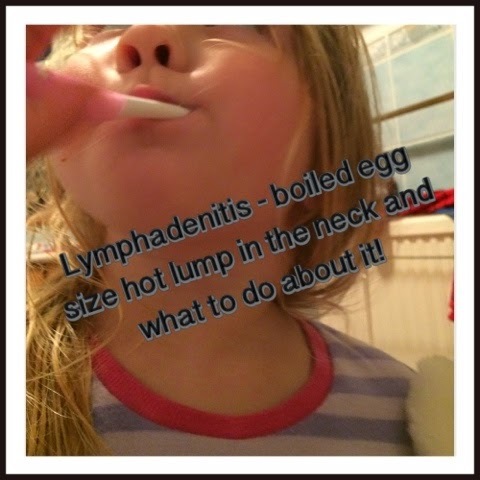 By the morning we had thought that perhaps she had an ear infection and it was whilst I was on the phone to the doctor to make an appointment that I realised she had a swelling on her neck that I can only describe as a very hot golf ball or boiled egg! We managed to see the doctor that morning and Maegan was diagnosed with Lymphadenitis, an infection actually inside the Lymph nodes itself. The doctor had said it was good I'd managed to get her into see her so quickly and that she needed to start antibiotics immediately. I'd never heard of this before, the doctor said it was unusual but not unheard of, likely as a result of trying to fight off a throat infection but the infection had spread and infected the actual lymph glands trying to fight of the original infection! I did google it, but the internet is always full of nasty stories, so I thought I'd blog it just incase anyone else is looking for sensible information rather than a horror story. Lymphadenitis comes on very fast. I'm talking about having a normal child without any sign of illness at all to full on delirious fever, pain and swelling in the space of a couple of hours. It's very very sore, even small movements hurt. - pain relief will be needed. The fever/temperature will need to be controlled - we found neurofen and calpol worked best for us. Watch out for your child becoming lethargic or not wanting to move about or do anything and speak to the doctor straight away. Your child will likely have a loss of appetite, just encourage drinking as much as you can and try and get some food in them - my daughter craved sweet things which is unusual for her. You child will not be able to move their arms up easily so use clothes that button down so you don't have to go over their head. The lump should start to go down within two weeks and you will need to go back to the doctor for a check up - it'll take about a month for the swelling to go completely but your child should start to pick up after about 4 days. I am not a doctor, this is simply my experience as a mother. Oh goodness! Poor Maegan, this looks really painful. I hadn't heard of Lymphadenitis before this - adding it to my list of horrid things to watch out for as a parent!